Description: This bronze sword is a rare example of the Khmer metalwork. It appears to have been cast all in one pour by the lost-wax process. The sword has a double blade that narrows slightly, then widens before it narrows again to the tip, the hilt fits nicely in the hand. 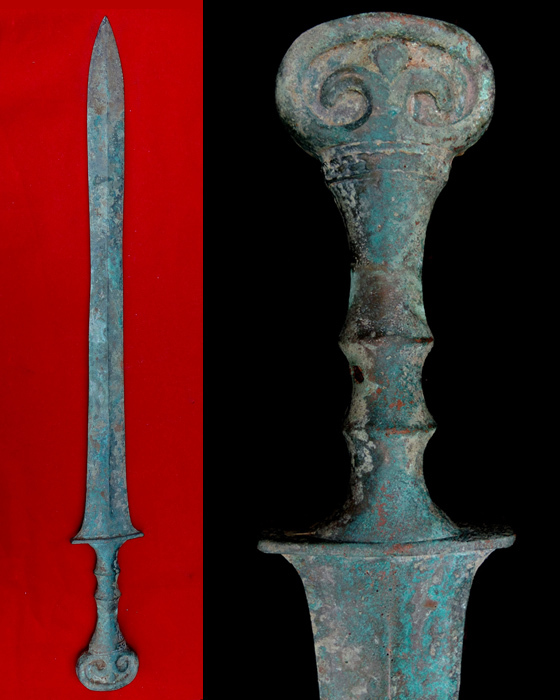 This bronze sword was found in Pakum district, Buriram province, Thailand. It was found together with some clay Buddhas in the style of Angkor Vat or late of the Dvaravati style. So, this sword can be dated to the 12th century.